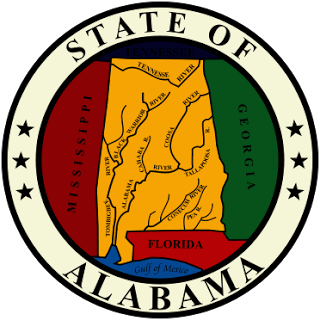 Alabama Republican State Senator Tom Whatley tried again this session to convince his colleagues that municipal utilities need the ability to expand beyond current coverage areas. Once again, his appeal to common sense for better connectivity fell on deaf ears. Whatley, representing the Auburn region, held fast to his promise to bring back a proposal like 2015’s SB 438. Early in February, he introduced SB 56, which stalled in the Senate Transportation and Energy Committee, unable to get a hearing. The bill eliminated limitations on both services offered and where municipal systems can offer those services. On the local level, Sen. Tom Whatley, R-Auburn, is sponsoring two bills that he hopes will drive industry to and create jobs in Auburn and Opelika. An Internet availability bill would allow municipalities that offer their own high-speed [gigabit] Internet service, such as the city of Opelika, to expand and offer it in other areas, such as in Auburn and Russell or Tallapoosa counties, which are not eligible for [gigabit] service through private Internet companies. At this time, OPS serves most single-family properties. There are a few apartment complexes and mobile homes that were built after fiber was planted that also have service. Regular readers will recall that Charter launched an astroturf campaign in Opelika when it announced it was interested in a network for smart-grid and connectivity purposeds. Fortunately, the voters in Opelika were savvy and interested in taking ownership of a fiber network. At this early stage, the network already connects approximately 30 small businesses, reports Area Development Online. OPS has extended the network to the Northeast Opelika Industrial Park and the Fox Run Business Park. OPS has also developed other testimonial videos from residential and business customers, each focusing on a different element of the service.